Fun Purple Decor to Create an Amazing Purple Room! Fun Purple Furniture and Purple Decor Ideas! I like all shades of purple, especially violet! I found some gorgeous purple furniture pieces and decor to create a gorgeous ‘purple room’ in your home! You don’t need to have every single item in purple, of course, (but you can if you want! It’s your home! ), sometimes just adding a beautiful purple chair, some purple decorative pillows, a purple rug or even a purple wall or some fun purple LED lights is enough to make your room a magical place to be! 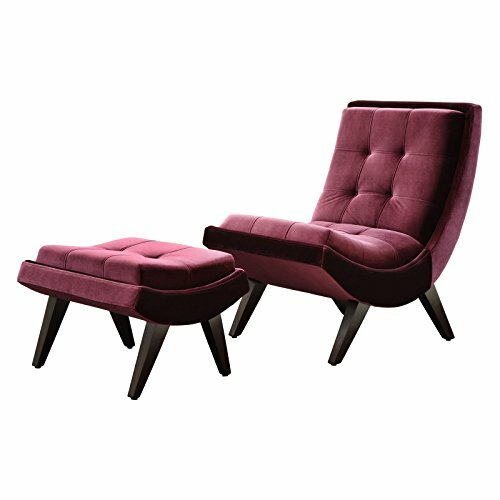 This gorgeous and very rich purple velvet chair and ottoman will look great in the living-room! It is a very cozy chair to read or watch a movie. This curved design is very stylish! The padding is thick and very comfortable too. Can you imagine how soft and nice the purple velvet will feel? How about creating a gorgeous ‘purple dining-room’ in your home? 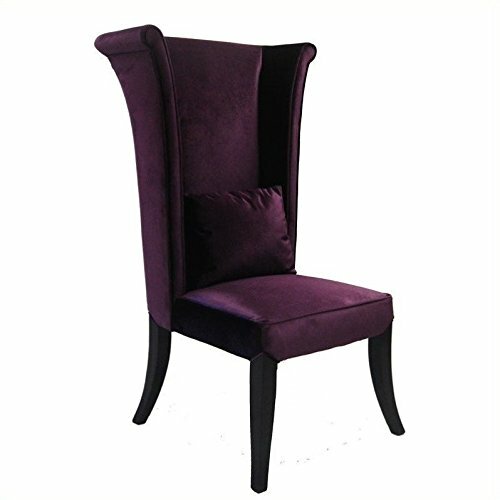 This purple dining chair is magnificent! 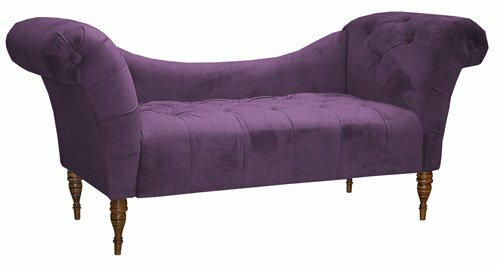 Look at this gorgeous purple chaise with wood legs! Can you imagine having this piece in your living-room? A beautiful purple piece to have! 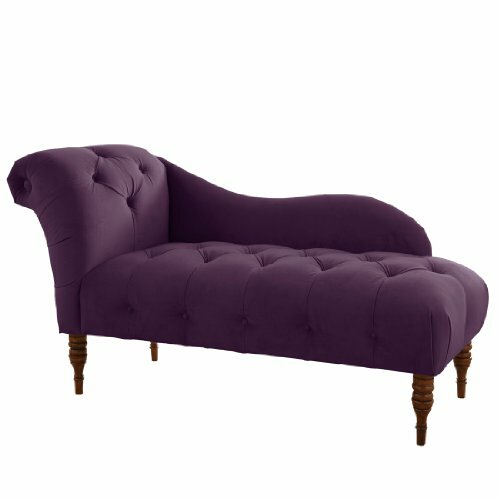 Another gorgeous purple chaise lounge for the living-room! It is very stylish and you can choose your fabric! You can get in velvet, microsuede or duck! Very easy to assemble and it’s also very comfy to use and to read a good book on! This is a very cool and very practical purple storage bench to have in front of your purple sofa. You can use it as a footrest and also as storage space! You can also have it in your purple bedroom, by your bed. The fabric is very soft and the price is great too! 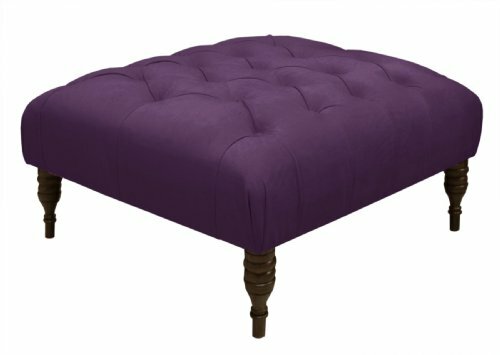 This is a gorgeous and very stylish purple ottoman that will be a perfect match for your purple tufted chaise! Very soft, large and affordable! The legs are made from wood and the fabric is velvet. 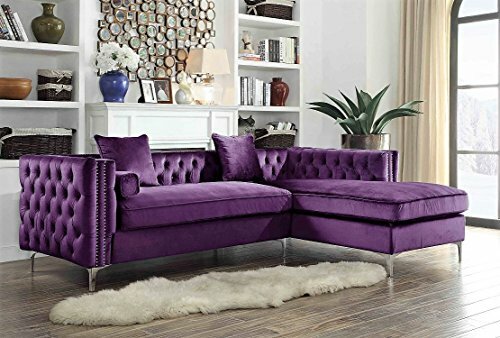 Beautiful Purple Furniture for the Living-Room! 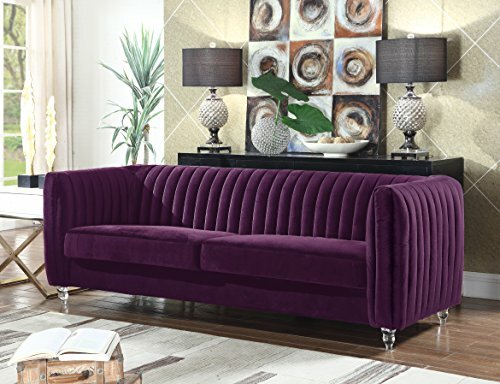 Have you ever seen a cozier and more elegant purple sectional sofa set? I would actually sleep on this! Must be perfect for watching movies or reading books on a rainy afternoon! Another gorgeous modern purple sofa for sale! I love the nice size and the elegant quilting style. It is made of velvet fabric. Look what I just came across fellow purple lovers! 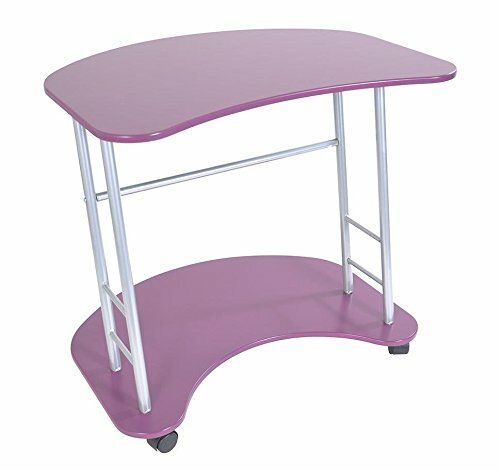 A cute and very compact purple desk! 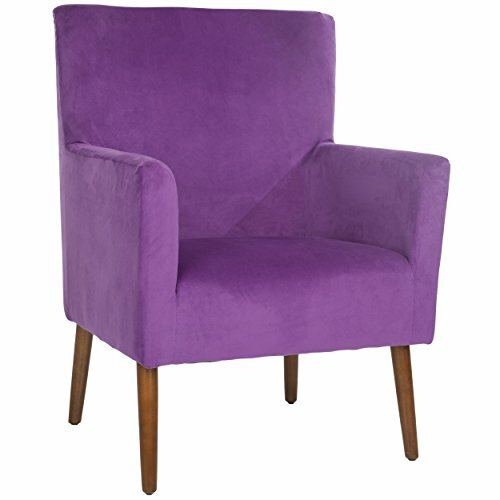 This is my favorite purple chair for sale! 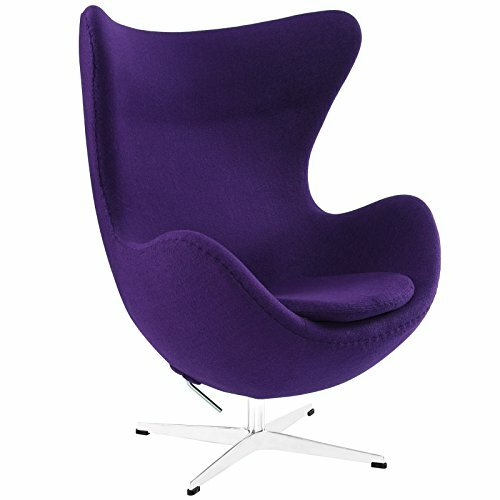 It’s a gorgeous ‘retro’ purple egg chair! 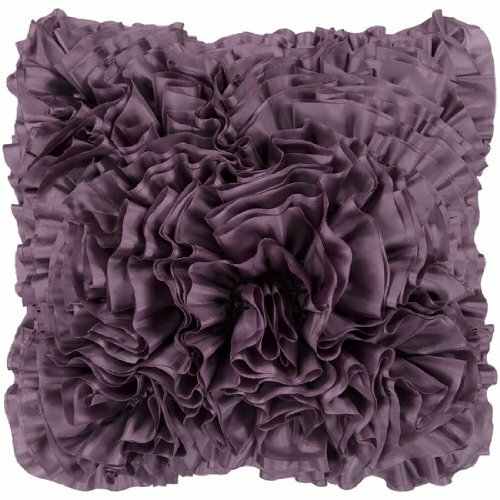 Perfect to create a beautiful ‘purple corner’ in your living-room! The fastest way to create a cool purple room is to add a beautiful purple area rug and maybe a purple sofa. This is a gorgeous and fun purple area rug! Will immediately transform your living-room! *Available in many sizes. Just choose the right size for you! To make your purple room even more complete, just add one or two beautiful purple lamps, one on each side of your purple couch! 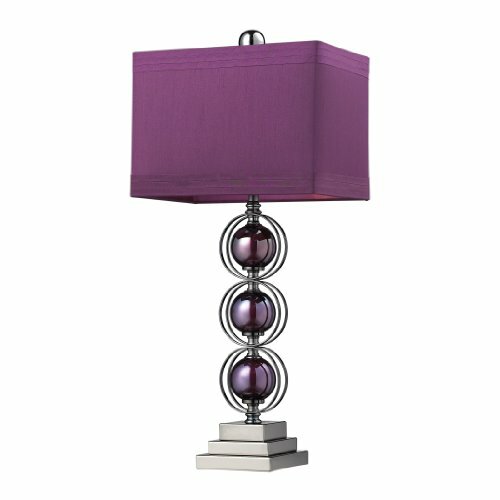 This is a gorgeous and very modern purple table lamp! Another awesome purple decor idea for any room, specially a teen girl’s bedroom or a living-room wall is purple wallpaper! 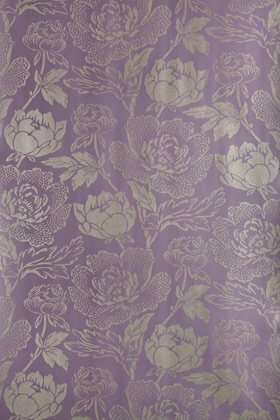 What a gorgeous purple peony flowers wallpaper! Don’t forget to add a couple of purple decorative pillows on your couch or armchairs too! They are a great way to complement your purple room decor for sure! Great ‘purple gift idea’ too! 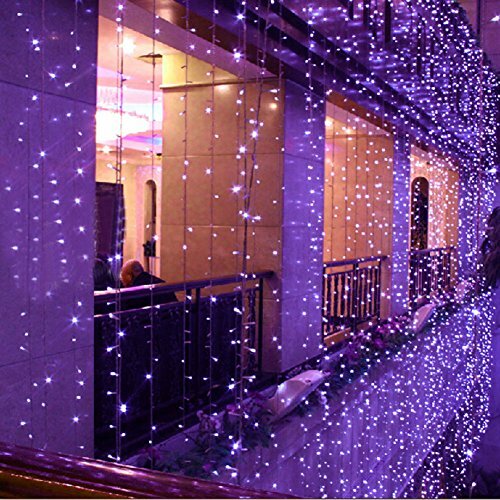 And last, but not least, add some gorgeous purple LED lights to your home! That is definitely one of the best and fastest ways to create a gorgeous and fun PURPLE home! I love these cute purple lights!